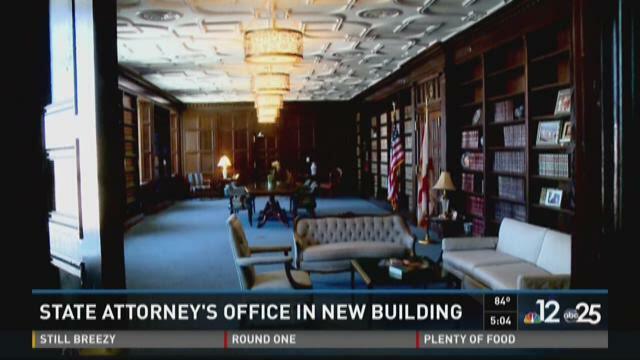 JACKSONVILLE, Fla. — History lives on in downtown Jacksonville as the State Attorney's Office settles into the old federal courthouse newly connected to the Duval County County Courthouse. "History lives on," said State Attorney Angela Corey, who is proud of the $32 million dollar renovation and restoration of the building constructed in 1932. The federal building that housed courtrooms until 2002 was deeded to the city. What followed were numerous design plans and delays, where possible historical features of the old building were saved - including a courtroom that is now used by attorneys for conferences and mock trials. The new legal complex is named the Ed Austin Building after former State Attorney Ed Austin. The building now houses a legal team of 120 lawyers and more than 300 staff.